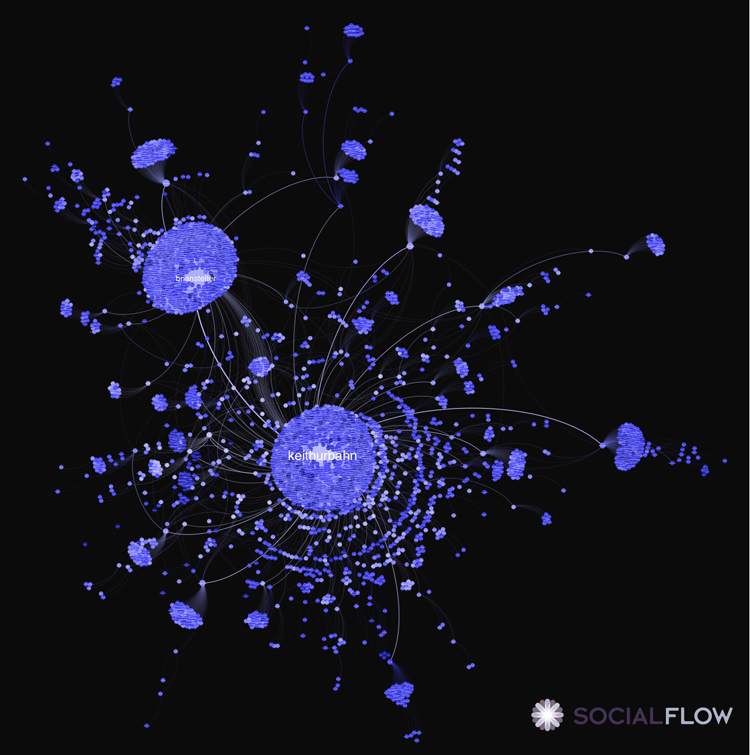 Socialflow breaks down of one of history’s most important tweets. Well, what does “wildfire” look like on the Twitterverse? That is, what is the anatomy of a news story rippling across the network? 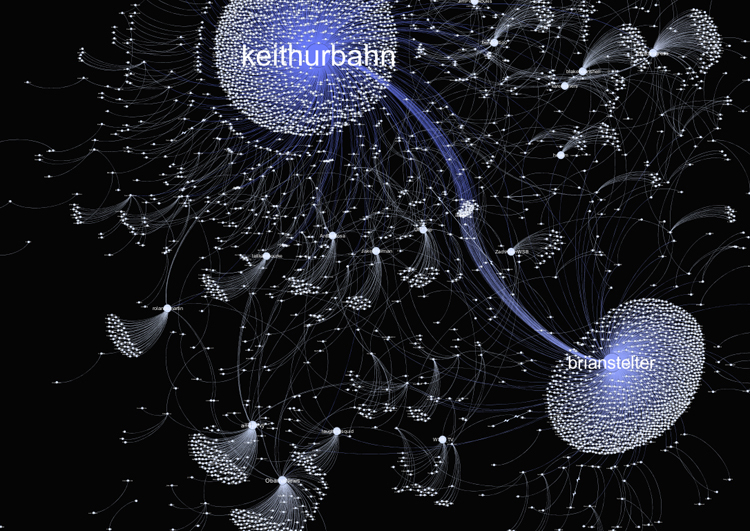 Gilad Lotan and Devin Gaffney, two researchers at Socialflow, which makes Twitter-visualization software, have handily provide a pretty astonishing infographic of how Urbahn’s tweet spread. But looking at the tweet above, it’s spread doesn’t really look like you’d expect. It’s not a chart of smooth, exponential growth. The news gets taken up in various little pods of people, which sometimes simply sputters out. But occasionally, it takes hold with someone like Stelter and flares to life. Which isn’t to say that Urbahn’s tweet died out in some quadrants. Rather, I’d argue that it had a limited amount of time as the owner of the OBL news. The minor die-offs you see in his tweet also reflect that the network has become aware of the news through other sources, which may or may not track back to him.